Maj. Gen. Herzl Halevi warns Iran rapidly closing in on Israel's technological advantage. 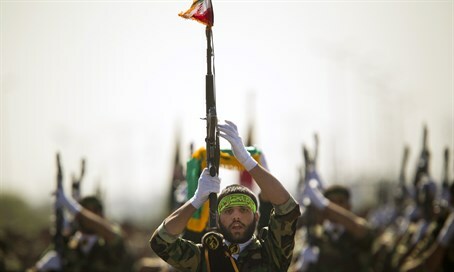 Israel's Military Intelligence chief warned last week that Israel and Iran are both battling for technological edge - and the Islamic Republic is quickly narrowing the gap between the two countries. Maj. Gen. Herzl Halevi made the remarks at closed lecture Thursday to donors and faculty members of the College of Management at the Rothschild Bank in Tel Aviv, Haaretz reports. “Today we have the advantage, but Iran is closing in on it," he added. "Since the 1979 revolution, the number of universities and university students in Iran has increased twentyfold, compared with three and a half times for Israel." A related issue, Halevi noted, was the Military Intelligence unit's difficulty in developing and retaining intelligence sources thanks to rapid technological change as well as rising intelligence costs. Defending the IDF against criticism over the size of the defense budget, Halevi cautioned that a negative attitude toward the Israeli army could prove "dangerous." Halevi also expressed concern over calls to end mandatory military service, which he warned could result in the IDF not "accept[ing] all of Israeli youth into its ranks and... [not taking] advantage of the best people."